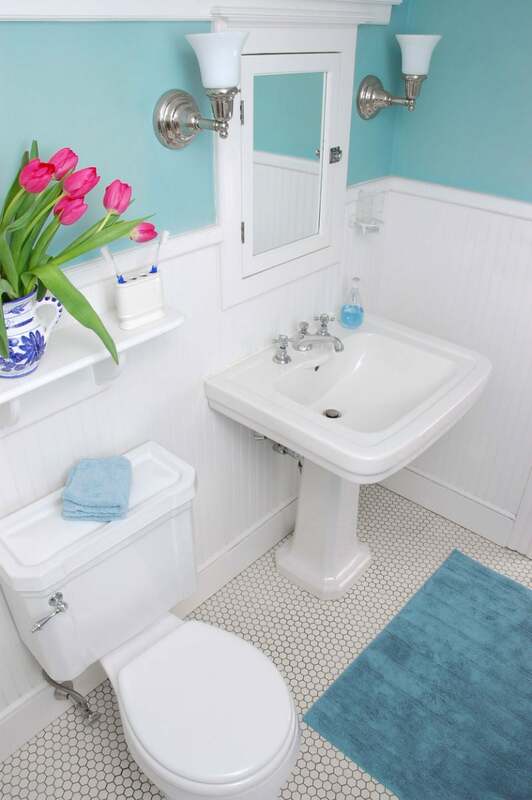 Bathroom floor tile is available in a surprising number of materials. Ceramic, porcelain, and vinyl tiles are what come to mind first, and for good reason: They’re perhaps the most practical options. But there are many options available today, from stone to cork. 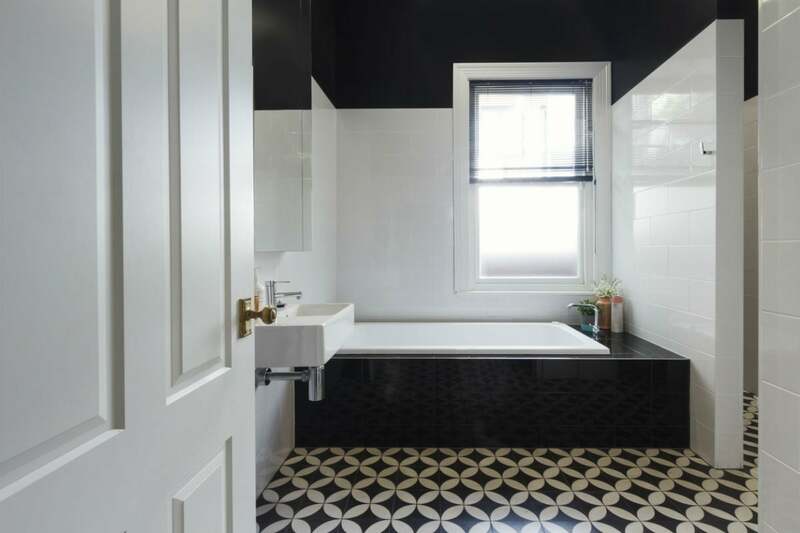 Get to know your options this guide to the best bathroom floor tile, and your decision-making will come with a bit more ease. Prices start at $.95 per square foot. 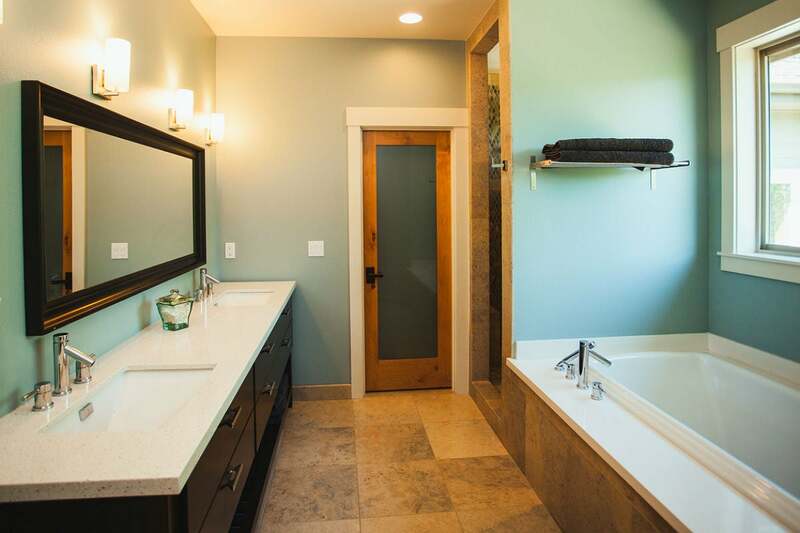 Whether your tastes run to stone or wood lookalikes, colorful penny tiles, or lattice-patterned squares, you’re likely to find that the offerings of ceramic and porcelain tile are some of the best in bathroom floor tile. Like vinyl, ceramics score high with regard to maintenance, too, but they are not nearly as comfortable to the bare foot. Installing radiant floor heat helps to change that, but a hard surface is hard whether or not it’s warm. Ceramics are not as easy to install as vinyl, though it is a job the adventurous do-it-yourselfer can tackle. When protected with a high-grade glaze, ceramic will resist wear and scratches. Porcelain tiles are harder than clay-based tiles and may have through-body color, an advantage if chipping occurs. Prices start at around $1.09 per square foot. The aesthetic appeal of a glass floor tile is twofold: Covering part of the floor in a thin layer of glass creates the illusion of depth and, if tinted, a lovely stained-glass effect. Installed properly, this type of tile holds up well—just be sure to select textured glass to prevent slips. Small glass tiles with lots of grout joints are also slip-resistant. 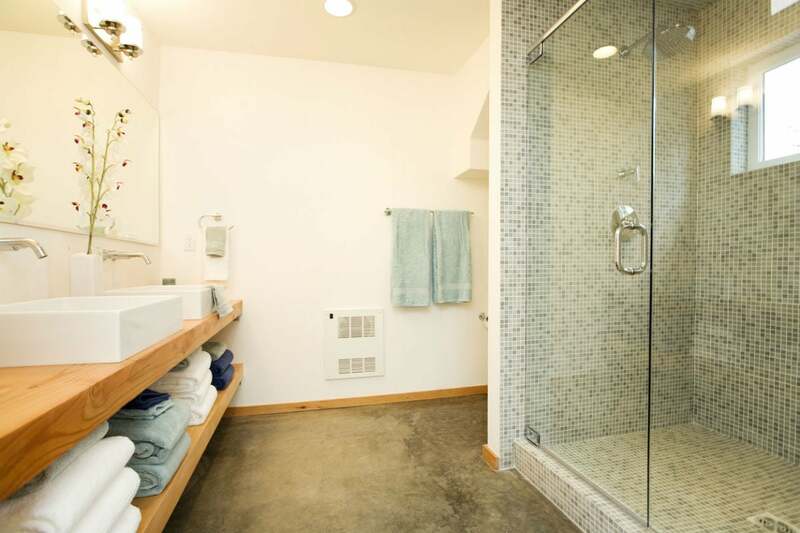 With these tips in mind, consider customizing a shower floor (perhaps even up the sides) with tiny glass tile squares to create a showy feature in the bathroom. PRO TIP: When buying ceramic, porcelain, or glass tile, be sure it’s rated for use on floors. Choose ceramic tile with a grade of 1 or 2 for floors. Ceramic tile also comes with a coefficient of friction (COF). For safety, choose one rated .50 or greater. The Porcelain Enamel Institute (PEI) rating system counts the other way; opt for tiles that are at least PEI III. Stone tiles were once confined to the foyer. 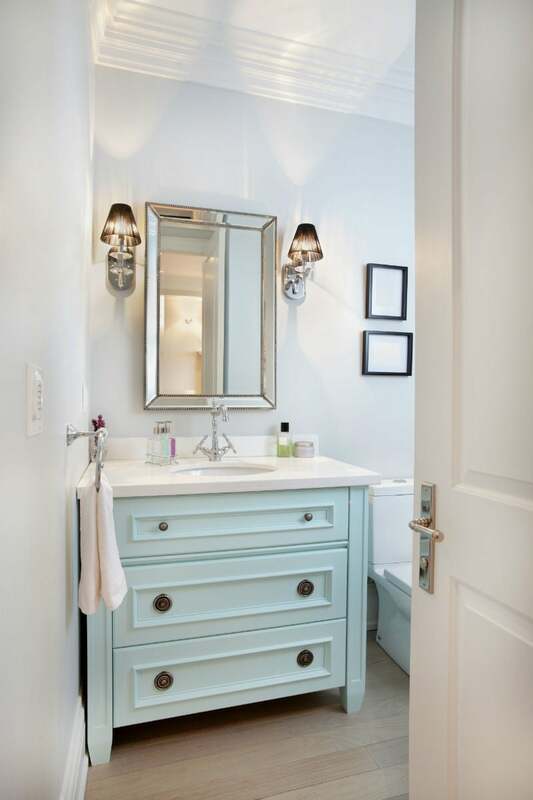 In the past decade, however, they have become popular in other rooms as well, bathroom included. Made from limestone, marble, granite, and slate, stone tiles are available in colors that range from creams to blues, reds, greens, and golds. Available textures are nearly as numerous and include cleft, tumbled, sandblasted, etched and flamed variations. Stone requires more maintenance than ceramic tile; regular cleaning and sealing are recommended. Plus, stone is typically more expensive than similar-looking ceramic or porcelain tiles. Plastic laminate tiles (more commonly available as planks) are also a good choice, especially if you’re remodeling. Similar to the laminate material that covered kitchen countertops for a generation or two, the tiles don’t significantly raise the height of the existing floor, which makes it easier to plan transitions from room to room. While durable and easy to keep clean, laminate falls short when it comes to moisture. Standing water can infiltrate the fiberboard core, causing the material to expand and buckle, which makes it one tile that might work better in a half-bath than a full-bath. 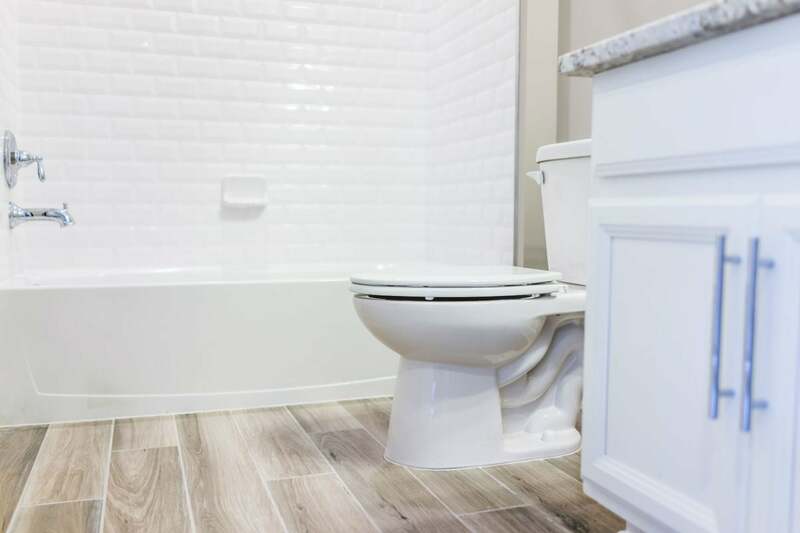 With laminates, it’s critical to caulk gaps along the walls, around the toilet, and (if in a full-bathroom) the tub to prevent water infiltration. Another con: Laminates don’t come in the quite the same variety of styles you’ll find with ceramics and vinyl. Prices start at $.49 per square foot. Linoleum is made of linseed oil, cork powder, wood flour, ground limestone, and pigments. 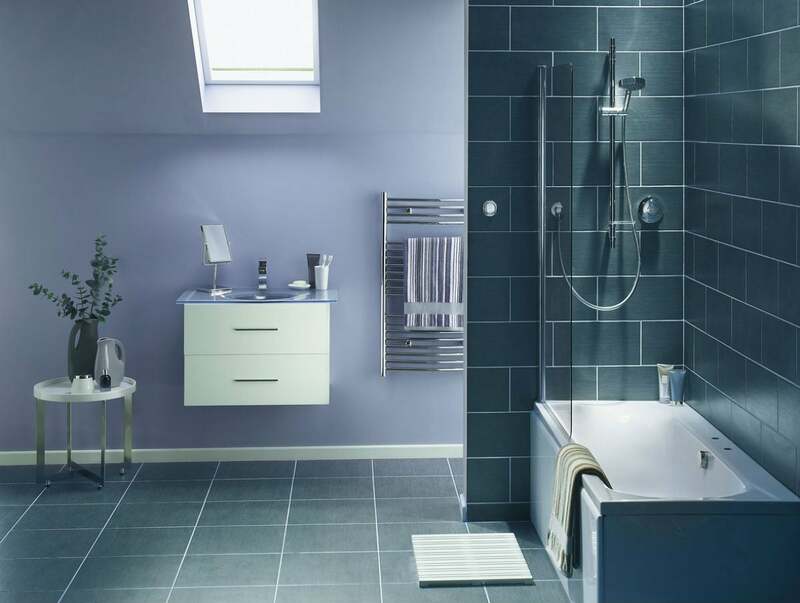 It is at home in contemporary or retro settings and well-suited to the bathroom. It’s touted as naturally inhibiting the growth of microorganisms and being able to repel dust and dirt, all while retaining its color. Click-in-place plank designs make it easy to install, and there is no doubt that the stuff looks great. The look comes at a cost, however, as linoleum is relatively expensive. Price average per square foot: $4. Cork flooring is warm to the touch and very easy on the feet, and the tiles come tinted in a variety of colors. Glue-down installation is not difficult, but expect to apply multiple coats of polyurethane to seal the flooring and prevent moisture from reaching the subfloor, even if you purchase finished tiles. 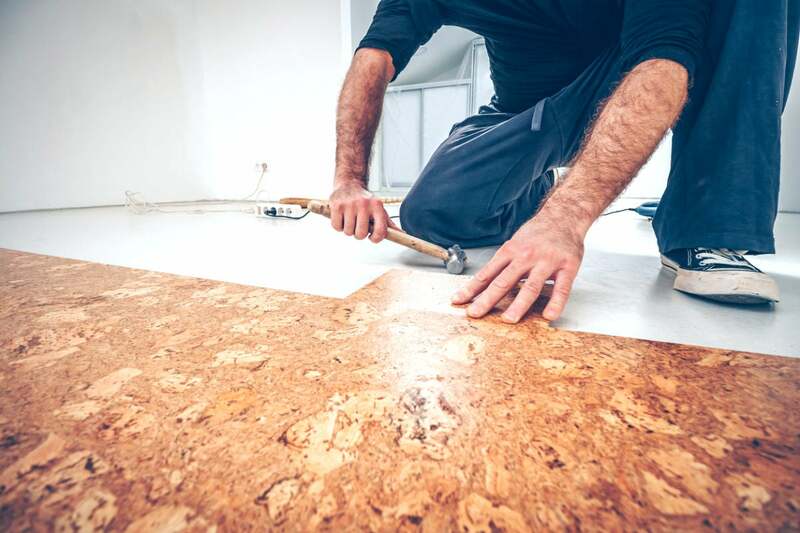 Generally, cork tiles are installed with a troweled-on adhesive, but click-in-place floating floor products are also available. Price average per square foot: $2.